Over the last two years, Eli has been the campaign designer on the local government election campaigns. She was also responsible for leading and training local campaigns, producing marketing materials for print and web, placing advertising, and leading other staff members and volunteers. In 2017, she was promoted into the role of co-ordinating and overseeing print production and delivery as well as being the leader of the design team. With over a hundred candidates across dozens of councils in the state, the Greens more than doubled their representation across the two elections from 28 to 60 councillors, and are now also holding four mayorships, up from one. The Federal election team works closely together across Australia, with a few dozen members on the design and media team. 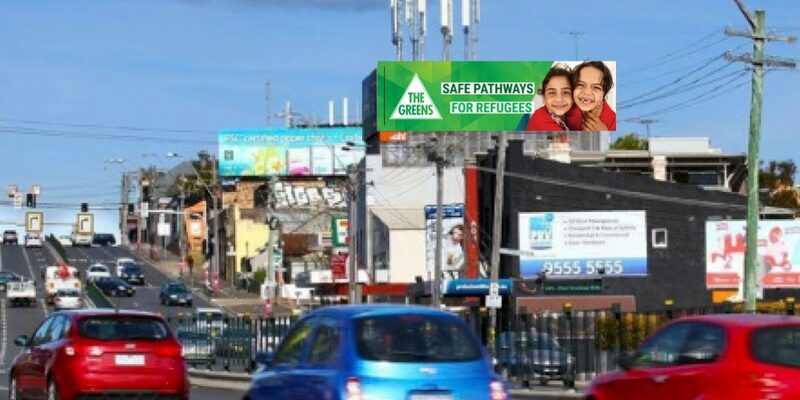 Eli was part of the design team responsible for NSW and mainly involved in creating billboards and other street advertising, as well as digital and social media advertising. Eli was, again, taking the lead on the production of the ‘How to Vote’ cards, training a team of volunteers and ensuring each of the 47 electorates received perfectly produced materials on time for the big day. From September 2014 to the end of March 2015, Eli Brassé from Guru Orange was part of the largest campaign team The Greens have ever put together. Eli was responsible for the style guide for all campaign materials, as well as for producing and/or overseeing the production of all kinds of printed materials, working with the media buyers on advertising, and with the media team on social media and policy releases. She was responsible for liaising with all local campaign teams for Greens candidates across 93 electorates around NSW, as well as for liaising with suppliers. Eli was senior designer to two staff and a dozen volunteers, as well as a small team of four on logistics and technical support, and sometimes giving direction to the organising and volunteer coordinating teams. She was also part of the team presenting to the Greens campaign committee, and held some presentations on her own as well. Here are some examples of print materials and street advertising. And here are some images of web and social media items.